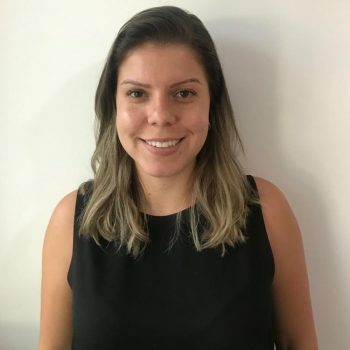 Cristal Silva is a 27 year old Brazilian woman born in São José dos Campos, in the state of São Paulo, who is fascinated by innovation and social impact. She obtained her undergraduate degree in International Relations from UNESP, while working in different areas: from the immigration sector in the Federal Police Department, to a mobile payments start up. Throughout her university journey, she discovered the cultural enrichment that a global network could provide, because of her admission into International Connector, an international boutique consulting group in organizational development based on the trends of millenials and gen Z. Encouraged by self development, Cristal sought to contribute to society by being a volunteer in the “Encontro de Jovens Transformadores” Project, and in an organization working in defense of the rights of people, called Teto. Cristal is part of the Brazilian youth delegation selected to attend the 57th UN Committee on Social Development in New York, and is a fellow of Starting Bloc, a international community of young leaders which seeks to foster global development through social impact. She is an Amani Fellow because she wants to help in building a responsible, creative and sustainable world.